To protect your family and pets without poisons, you can sprinkle talcum baby powder on ant trails and around your home. This is about use baby powder to deter ants. Unusally hot weather has led to ants seeking relief in my house. With dogs I do not want to use poisons. Dollar store baby powder sprinkled on window and doorsills and directly on any ant trails kills them and is non-toxic, doesn't reek, or cause risks of toxic pesticides. Baby powder dries out their nasty little bodies and is easy to wipe or vacuum up the next morning. (I leave it on the windowsills for a while unless there are lots of dead ants there.) I have been doing this forever. I will try this today. 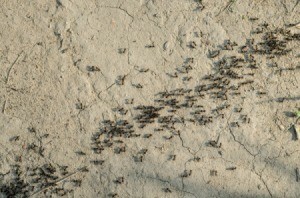 I am so tired of little bitty ants all over my kitchen sink and draining board.every spring now they started a week ago again.There is nothing there for them But every morning my sink is full of them I turn on the hot water and wash them down the sink. But their relatives keep on coming. If you shake baby powder around where ants come into the house, they will stop coming. Their feet get stuck in the powder but you don't kill them. 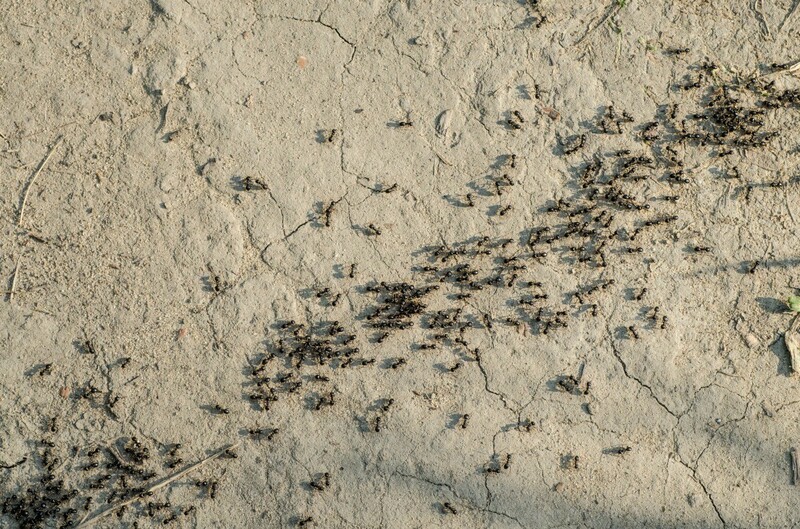 Never kill black ants as they keep the white ants at bay. When at the beach, the lake or anywhere outdoors, and your child is playing in a small area, you can put a line of baby powder around the area. This will keep ants away. They will not cross over the line of baby powder. This will not kill them, just keep them out of the play area for a while.